A dynamic collaboration of 2 successful franchises, Mario plus Rabbids Kingdom Battle for Nintendo Switch takes you to an epic journey that will test your wits and knowledge. Outsmart enemies in a turn based combat, engage in co op play, and decipher challenging puzzles as you try to bring order back to the splintered Mushroom Kingdom. Mario and his companions must journey through the worlds of the Mushroom Kingdom to retore order and peace by outstsmarting a suite of unpredictable and dangerous enemies. The Ubisoft Mario Plus Rabbids Kingdom Battle Nintendo Switch Game was added to the Nintendo Switch Games category in October 2017. 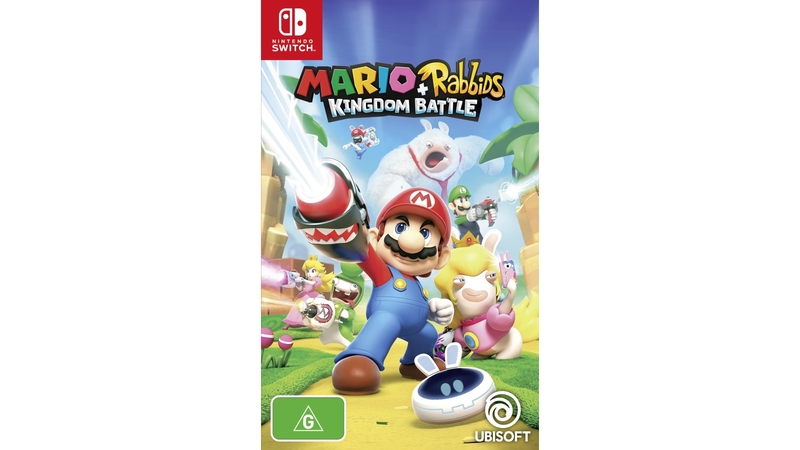 The lowest price GetPrice has found for the Ubisoft Mario Plus Rabbids Kingdom Battle Nintendo Switch Game in Australia is $51.62 from Amazon AU.